Mira Lehr has been called "the mistress of light" by 60 Minutes correspondent Morley Safer, "the spiritual heir to O'Keeffe," in the London Times Literary Supplement and "a painter not of this world" by Oxford poet Kelley Grovier. As a young female artist in the '50s and '60s, Lehr was at the forefront of abstract expressionism and the New York School having studied with the Billmyers, Hans Hoffmann and Motherwell. Lehr was born in Brooklyn and studied art, art history and philosophy at Vassar College. She later became a force in the mobilization of women artists in cities like Miami, where she co-founded the Continuum Gallery. Lehr was chosen as an original participant with Buckminster Fuller on the first World Game Scenario Project at the New York Studio School. Mira Lehr: Arc of Nature presents Lehr's work and career as an artist continuing over five decades. The artist's expression of nature through various media is explored by Eleanor Heartney, arts and cultural critic. Heartney analyses Lehr's work, her background and the process involved in her artistry as well as her drive as a woman artist. The book also features a 2014 interview conducted by Irving Sandler, art historian, writer and critic at Lehr's home in Miami Beach and a Foreword by Thom Collins, Director of the Miami Art Museum. Lehr's own writing and reflections throughout the book reveal her metaphysical nature. 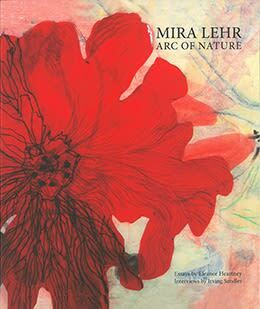 Mira Lehr: Arc of Nature, a beautiful, large-format art book features over 100 images of Lehr's art—compelling paintings, sculpture and video in brilliant color. Published by Hard Press Editions in association with Hudson Hills Press.